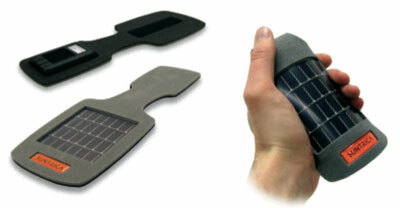 The SolarStrap is also flexible, making it a little easier to stash away. The battery has a 950mAh capacity, which is enough for your smaller gadgets like cellphones and MP3 players. It has a velcro strap, which means it could be attached to things like a purse strap or the strap of a laptop bag as well as even a belt loop if you’re dying to make a geeky fashion statement. It’s one of the more affordable panels too, it’ll only cost you $40.